Emergency medical personnel operate under critical circumstances that are often hazardous and unpredictable. The potential for bodily harm in their profession is high, and bodily harm can be career-ending or even life threatening. If an emergency medical service (EMS) worker is injured on the job, worker’s compensation is one way in which an EMS worker can find compensation. For emergency medical service providers, maintaining strong worker’s comp plans can be challenging. We contract with several carriers who specialize in EMS services. The insurance carriers we use understand that they play a major role in the price you pay for your coverage and that workers compensation is a growing expense for most EMS providers. As expenses grow, increasing revenue may become more difficult. 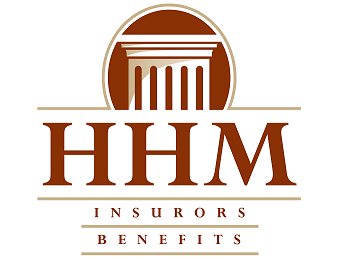 At HHM we understand that keeping expenses minimal and maximizing coverage are critical to forming adequate EMS worker’s comp insurance plans. We work on your behalf for optimal coverage from our carriers and partner with you to limit the number of claims you face and to control the costs of those claims. We have been insuring ambulance services for over twenty years and in 2009 we introduced a workers' compensation program specifically for emergency medical services. Our program continues to have tremendous success and to date, we have helped close to 200 EMS throughout Pennsylvania, New Jersey, and West Virginia (a total of $130,000,000 in payroll insured). Our professionals are highly knowledgeable and have exceptional expertise. They can help you protect your bottom line and the welfare of your greatest asset – your employees! The measure of our success is in our clients’ satisfaction and the success of our products. In both cases, our reputation speaks for itself.